Can an Apple watch really save a life? The answer to this is yes. This advanced technology that you wear on your wrist can actually be of use to your health. This watch is programmed to alert you of high blood pressure, strokes, hard falls, etc. Reminders such as “breathe” is sent to you as it monitors your breathing patterns. If your heart rate goes above 120bpm or lower than 40bpm then you Apple watch will send a notification. There are also motion detectors, meaning if your apple watch feels you’ve taken a hard fall, immediately emergency services will be dialed. If you don’t respond within 1 minute, the watch calls for you and help will be on the way. Another feature the watch has is the irregular rhythm feature which detects irregular heart rates. There has been quite a few cases where the Apple watch has been proven to work. For example, a man named David Gilley, 61, living in Atlanta was feeling under the weather. He went to the hospital (his watch told him to) and when he got there he was diagnosed with abnormal heart rate condition. Another man, Gaston D’aquino, 76, didn’t even know that 2/3 of his coronary arteries were blocked. The only functioning one had 10 percent of it’s usual capacity. Ira Flatow’s brother didn’t know that his heart rate was 80 bpm over the average until his watch notified him. My brother was saved by his Apple Watch. After he felt a rapid heart beat >200 bpm, his watch told him to “go to the hospital.” He did and his tachycardia was diagnosed. If you’re currently shopping for new technology, keep this in mind. 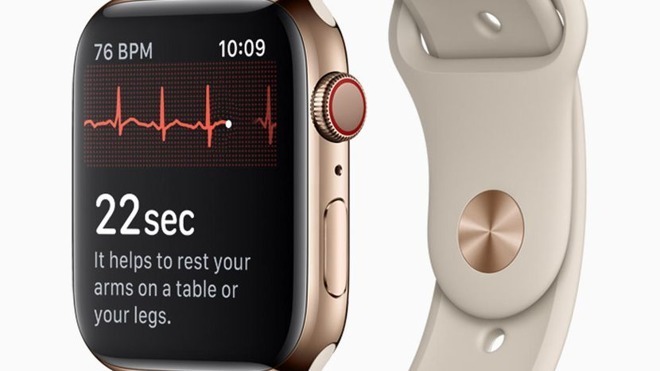 Investing in buying an Apple watch can also be useful if you’ve been diagnosed with heart issues. For more information, please visit Apple Watch — Real Stories — Apple. The launch of AC Wellness is almost here. According to Christina Farr (2018), a reporter of CNBC, Apple will be launching new health care clinics collectively under the name AC Wellness starting this spring. At least upon its start, the system will only assist employees where the Apple headquarters are located, the Santa Clara County area. Under the ‘About Me’ section of the AC Wellness website, this is stated in big font: “AC Wellness Network believes that having trusting, accessible relationships with our patients, enabled by technology, promotes high-quality care and a unique patient experience.” On the website’s front page there is also a tab for ‘Careers’ that upon clicking goes to a page that lists jobs that can be applied for such as health partner, nurse coordinator, acute care physician, etc., and a ‘Contact Us’ tab that leads to a page that lets you write your name, email, and a message to the company. The CNBC article also stated that Apple was interested in hiring “designers” whose job it would be to “help implement a program focused on preventing disease and promoting healthy behavior.” These “designers” will be a population health designer and clinical program design lead. The AC Wellness clinics will also be used to assess its expanding array of health services and products (Farr, 2018). Campbell (2018) wrote on the Apple Insider website that last month Apple announced its iOS 11.3 update, and through this update, the Health app would be able to have healthcare providers upload health records. For more information on this Health app update, check out our “Take Your Medical Records With You – Everywhere” blog post.